(PhysOrg.com) -- "I wonder if I shall fall right through the Earth!" mused Alice-in-Wonderland as she tumbled down the rabbit-hole." How funny it'll seem to come out among people that walk with their heads downwards! The antipathies, I think ..."
Alice's experiences in a below-ground world, written about by Lewis Carroll in 1865 in his famed Alice's Adventures in Wonderland, were fiction. If the work of biologist Diana Wall of Colorado State University (CSU) in Fort Collins is any indication, life indeed imitates art. Wall, who studies life beneath the surface, and her colleagues are using modern DNA-based methods to discover the extent of the biodiversity under our feet. Soil, it turns out, provides habitat for millions of species, an array of animals every bit as varied and strange as those Alice encountered. "You have roundworms, or nematodes, the lions of the underground," says Wall. "These animals rule the Kingdom of Soil." 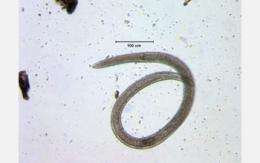 For example, some 89 nematode species are found in just over 90 cubic centimeters of soil below a tropical forest in Cameroon. "The unseen, and mostly underappreciated, realm beneath us is teeming with life," says Wall. "Earth is really brown and black, not green." Increasingly, soils are recognized as one of the most species-rich habitats on Earth, according to Matt Kane, a microbiologist and program director in the National Science Foundation (NSF)'s Division of Environmental Biology, which funds Wall's research. "Soil animals and their interactions with microorganisms influence many ecosystem processes," says Kane, "including decomposition, nutrient cycling, carbon sequestration, plant community dynamics and the soil structure itself." An understanding of the biodiversity of soils is critical to maintaining the "ecosystem services" from which humans benefit. "All above-surface organisms ultimately depend on soil biodiversity for food and habitat," Wall says. "Human health and national economies are largely based on benefits derived from soils. "What some call ‘plain old dirt' in reality provides fertile grounds for our food, whether crops on land or fish and crustaceans from freshwater and marine sediments [soils]." Soil biodiversity, she says, is also crucial to controlling human, animal and plant pathogens; floods and erosion; waste-processing; and water purification. Some regions on Earth "have high-fertility soils, like the Nile Delta region," says Henry Gholz, an ecologist and director of NSF's Long-Term Ecological Research (LTER) program. "Others are underlain by permafrost, or are very shallow and less productive." Global changes have led to degraded soils through desertification, droughts and floods; many places are losing once-fertile lands. How do soil biologists uncover what's usually obscured by roads, lawns, and golf courses, by forests and meadows? "Soil animal biodiversity has only been researched in a limited number of ecosystems," says Wall. This dearth of information results partly from a lack of methods to rapidly and easily measure biodiversity below-ground, she and colleagues state in a paper published earlier this year in the journal Soil Biology & Biochemistry. Current ways of studying the biodiversity in soils are based on traditional morphological identification (looking at animals under a microscope and "keying" them out). 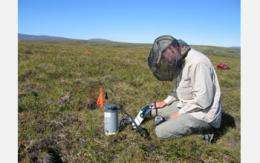 With that in mind, scientists Wall and Ed Ayres at CSU, along with Richard Bardgett of Lancaster University in the U.K., and Jim Garey and Tiehang Wu of the University of South Florida, conducted research on the below-ground biodiversity of two Alaskan ecosystems using sophisticated DNA sequencing. "It's the most comprehensive molecular analysis of soil fauna to date," says Wall. The biologists studied life beneath the surface at two of NSF's 26 LTER sites: the Bonanza Creek and Arctic sites in Alaska. Bonanza Creek is in interior Alaska southwest of Fairbanks, below the Arctic Circle; the Arctic site, above the Arctic Circle, lies in the foothills region of the Brooks Range on Alaska's North Slope. Bonanza Creek is mostly boreal spruce forest, while the Arctic site is largely flat, open, heath-like tundra. Wall and colleagues found that nematodes were the dominant soil animals, whether under boreal forest (60.9 percent) or tundra (69.8 percent). Rotifers, microscopic wheel-shaped animals, made up 26.1 percent of the soil animals in the Arctic tundra and 18 percent of life beneath the boreal forest. Arthropods such as spiders comprised some 19.4 percent of the boreal forest underground, and 2.6 percent of that of the tundra. Tiny tardigrades, better known as water-bears, were rarer, at 1.3 percent and 1.5 percent of boreal forest and tundra, respectively. "A molecular approach [DNA sequencing] to ‘gazing through the looking glass' provided new information on what lives below the surface, at least in two ecosystems in Alaska," says Wall. "It adds to our understanding of soil animal biodiversity, especially in locations rapidly affected by global warming." Climate change is happening faster in Alaska than almost anywhere on Earth. "Life beneath the surface at the Bonanza Creek and Arctic LTER sites is already showing changes," says Gholz. "It's imperative that we know what's there now, to better plan for the future." In Lewis Carroll's century-plus-ago tale, Alice finally reached bottom on her long fall down the rabbit-hole. Landing in unfamiliar surroundings, she wondered what the name of the country was. And whether it was warm there. A century hence or sooner, the answer to her question might be "yes"--even above the Arctic Circle. For Alice, the White Rabbit led the way. For the denizens of Earth's soils, scientists like Diana Wall are shining light on underground darkness. "How late it's getting!" cautioned the White Rabbit. "There's not a moment to be lost." Diana Wall might sound exactly the same warning.